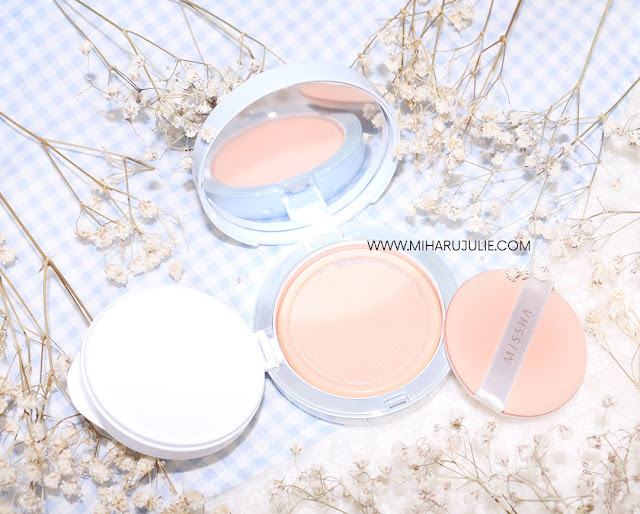 Make up base and cushion are the most important thing for makeover. Once uneven skin tone appears, it doesnt matter how pricey your eyeliner, lipstick or eyeshadow are , you will never looks good. Now that I've tried Missha The Original Tension Pact. 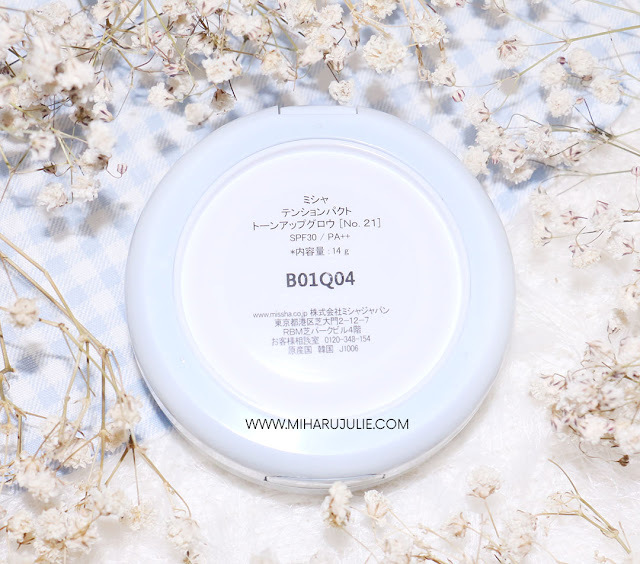 This original tension pact is the newest foundation pact that they sell out on the market. 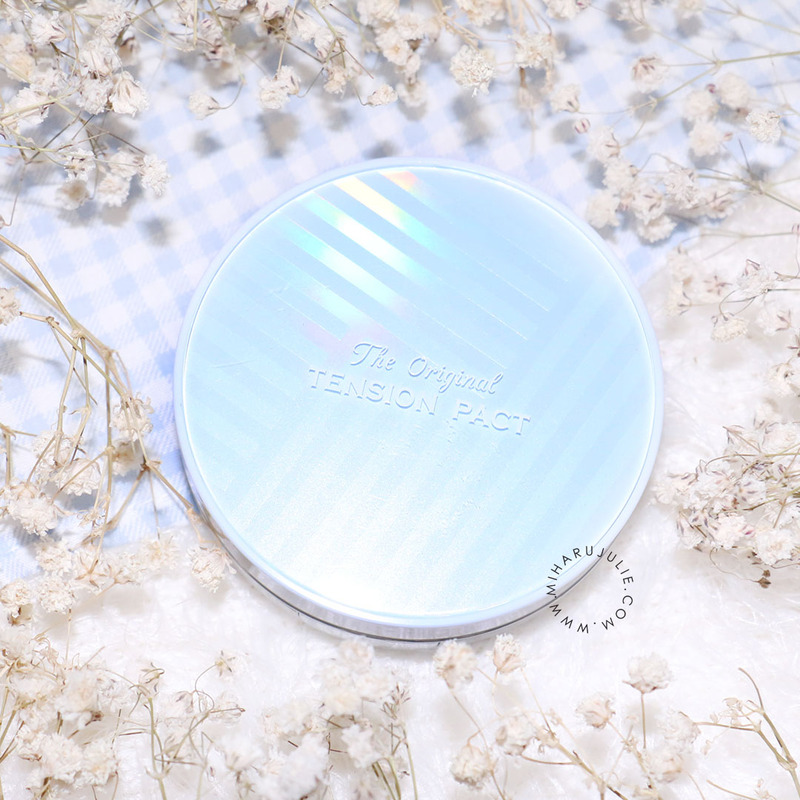 Just like any other cushion brands, Missha The Original Tension Pact packaging comes with a small white portable compact (that can be refilled), a small mirror and a washable air puff sponge which is placed on the plastic separator above the cushion in order to prevent the cushion from absorbing the foundation. The puff is so great. It can pick up the right amount of product well. You can easily spread up the product using this air puff. This is the new K-Beauty Innovation. As we know, BB Cushion contains soaked sponge with liquid foundation, but The Tension Pact is different. When you open Tension Pact's lid, you will find finely woven mesh net with cream foundation underneath. The mesh net is really good to help us in controlling the amount of the cream foundation. The texture of this pact is a bit watery and transparent, it has slight refreshing effect when first applied to my face. It has slight perfume smell to it but it doesn’t bother me that much. The finish is natural to a soft matte. I like this pact a lot more than the moisture one. It has light coverage and covers up my pores. However, it does not cover up pimples. Since I bought the “Tone Up Glow” version, the coverage is medium, if you need a higher coverage , you can choose the "Perfect Cover" version. I expected this to be super moisturizing and have a dewy finish. Luckily, this product was spot on for me. The finish is quite natural and the staying power is absolutely long. A lot of people who tried this say it's very sheer... 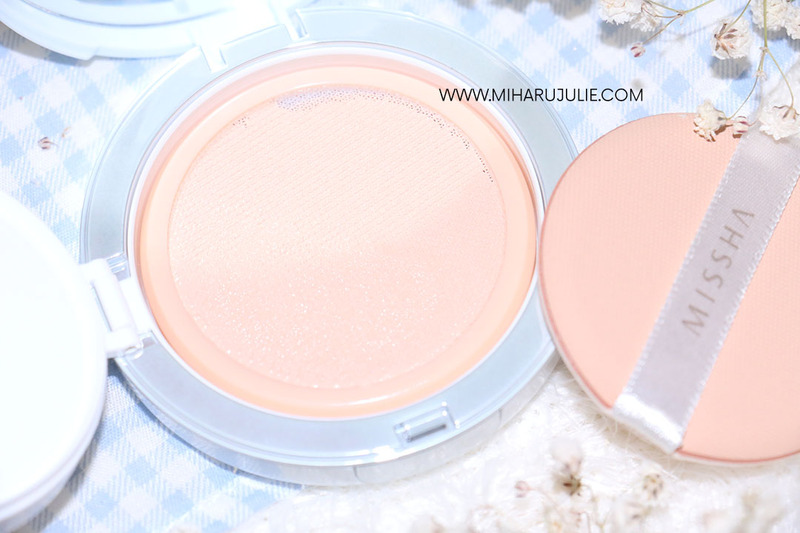 The cushion is supposed to brighten skin tone, provide moisture, and give you that dewy, soft look. It applies well, as I mentioned earlier, and leaves my skin feeling healthy and glowy without being suffocating, much like the cover cushion. For me personally on unprimed skin, the finish at first is a nice dewy finish for about 3-4 hours before it fully settles into my skin. After that, it becomes more of a satin finish. 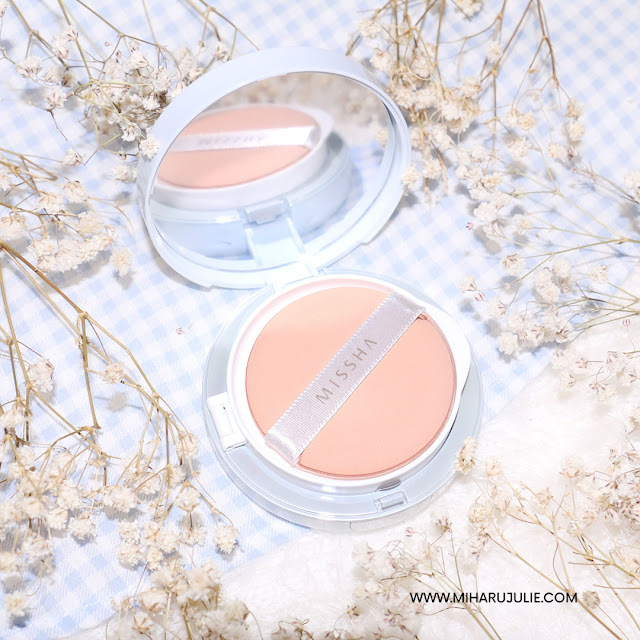 Where to buy original Missha products in Indonesia ? Great makeup and you look naturally beautiful, dear! Will try this brand too! 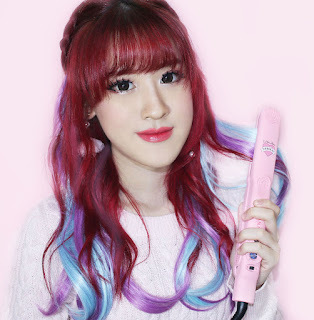 Mau makeup gimana pun, kakak selalu terlihat kawai. So inspiring. Very nice brand and of course love this review too.